Michael Stillford was born in Bristol, Pennsylvania and grew up in Levittown, PA. He served in the United States Navy for 22 years and achieved the rank of Chief Petty Officer. While in the Navy, he was a Hospital Corpsman and worked in an array of medical positions such as a minor surgical technician, an x-ray technician, a Fleet Marine Force Corpsman and a medical administrator. 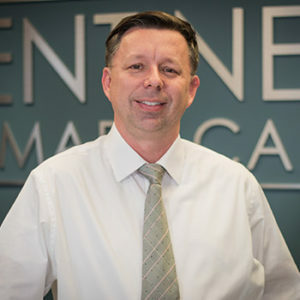 Michael has lived in four different countries, has visited over 20 countries and deployed on three occasions to the Middle East. He holds an Associates in General Studies from Central Texas College, a Bachelor of Science in Health Care Management with Honors from Southern Illinois University and a Masters of Business Administration from the University of Phoenix, European Campus. After completing his Naval career, Michael joined Duke Heath where he worked as the Health Care Administrator for Duke Urology of Raleigh, Duke Men’s Health Center, and Duke General Surgery of Raleigh. Michael is married with two children and enjoys spending time with them visiting new places and just being together. A few of hobbies of his include gardening, home projects, and classic cars (especially Corvettes).